Modahaus is a revolutionary compact and portable photostudio that is so not a light tent! Don't get me wrong, light tents are useful but they do have some disadvantages. So when I stumbled upon the very first unit nearly 2 years ago, I really liked what I saw and bought a small one - and never looked back. My photography continues to improve with time as you will note from my blog tutorials and the new pictures I am starting to load on Etsy. I am not the only one who made the switch - check out Phototuts' blog post for a review on photography setups he used and why he stopped using his older solutions once he bought his Modahaus units. The Modahaus range has expanded to the Steady Stands and the photo studios have all been updated with new features such as the smart cases, necklace tabs and holes for fishing lines to hang earrings. For a limited time, Modahaus is supplying hybrid and double sided backgrounds free with their kits. 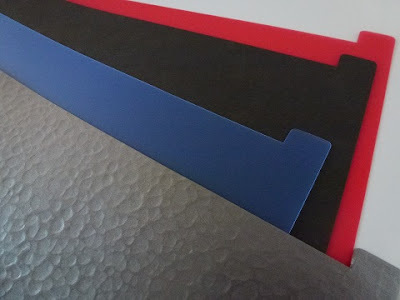 These include the dark colors which many crafters have asked for. 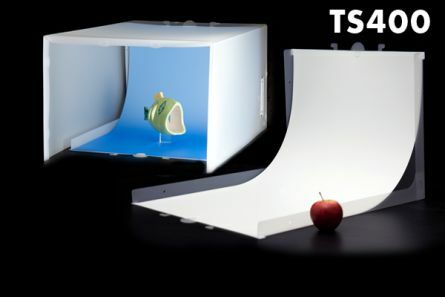 Lex McColl of Modahaus recently sent the largest photostudio, the TS400 to me for review. I tried it out using natural light as well as my Ott lite lamp. Note that the Modahaus units are great but you also need to know how to use your camera whether you use natural or artificial light. See links below for additional photography guides. The full TS400 guide is over here as well as that for the mid-sized one, the TS320. As you can see the TS400 is much larger than the size I currently have. The TS 216 is perfect for jewelry makers as we make small things. You can even store it open on a shelf. I couldn't do that with the TS400 but it still stores very well behind a suitable piece of furniture. Space is a huge issue for most of us. 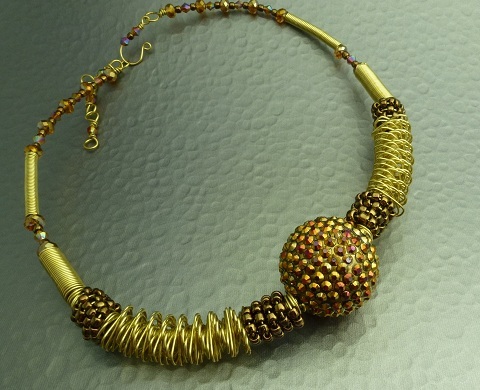 Or more accurately, the beads get higher priority! The smaller TS216 does pose some difficulties if you wish to photograph larger objects, groups of things or include props. Tutorials are now easier to photograph with the big TS400. For example, I could easily take this product group picture for the ImpressArt giveaway with the TS400 without struggling with camera angles and so on. The curved background at the back gives what is called an infinity curve - i.e. there is no obvious horizon. Like light tents, the smart case acts as a light diffuser. 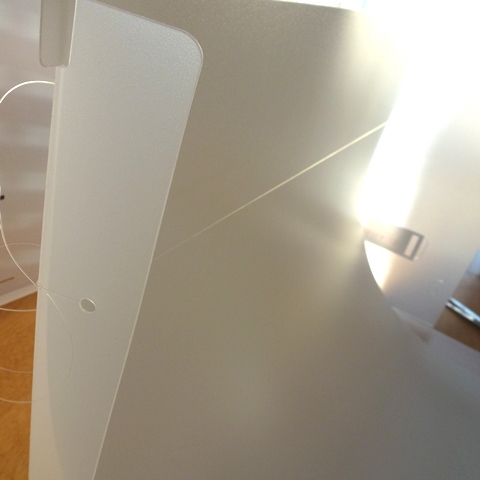 Even with the harsh sunlight coming from the window, the case was able to soften the light source and significantly reduce shadows. As this model is large, the light tunnel is not self supporting. I do like using the light tunnel as the slightly reflective surface helps brighten pictures especially those with white backgrounds. So it needs to be propped up either with a Steady Stand or improvise with glasses and glass dishes! You don't have to make any holes as the unit comes with holes ready for a fishing line to hang earrings on. If you cannot get the line taut enough, just hang something like a pair of pliers at the back! If there is enough slack, you can just leave the line there. 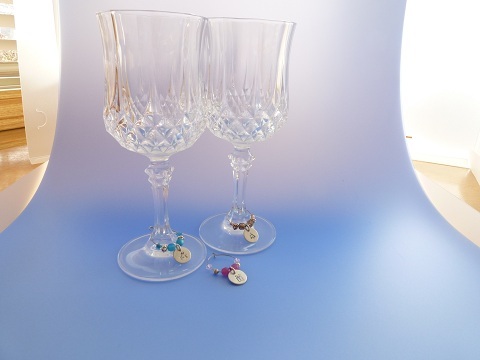 With the larger unit, I was able to take pictures of the wine charms on glasses with ease. I flipped up the smartcase towards the back for this photo. I am not a professional photographer and admit I am totally clueless as to lighting. The wonderful subtle color changes in the background are entirely due to the Modahaus and its infinity curve, not me! I generally prefer to use natural light but sometimes do take pictures with lights. I went down to my dark basement and used just my Ott Llite with the light tunnel and no smartcase. 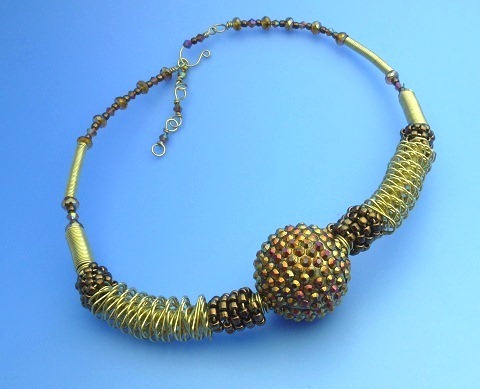 Some of you may remember this brass coiled wire necklace. It is my largest and chunkiest piece so far. Previously I had to resort to an overhead shot with a Steady Stand to get the whole thing in satisfactorily. But with the TS400, I was able to easily capture what I needed. Which background to use is down to personal preference and perhaps the actual design itself. I didn't think the blue background worked that well with this piece. The hybrid backgrounds were fun and do add a touch of elegance to the photograph. The stippled sheet was silver on one side and a dark greyish black on the other. And here is the plain dark grey-black matte background. There is just one problem with the TS400. It is still a cat magnet just like light tents! But it's not comfy like fabric tents so the kitties soon lost interest. Any fur, hair, lint and smudge marks wipe clean! Taking jewelry pictures is no longer a chore for me - it's all rather fun with the Modahaus photo studios! If you'd like to win a Modahaus TS400, please make a comment below. Make sure you leave contact info if you do not have an online shop or blog. It ends in a week's time at 6 pm EST Monday, February 11, 2013. I will pick the winner randomly and announce the results as soon as possible after. So be sure to leave a contact email if you don't have an online link or make sure you come back and check! Otherwise I will redraw in a week. Good luck! I love the small version of Modahaus that I have and would love to expand with more pieces such as these. Wow, thank you for the chance to win this--it would be a blessing and a million! I would love to win this amazing piece of equipment so badly need it. I am also a subscriber. Thank you for such a wonderful opportunity! I absolutely would like to win this photo studio!!! I really need it since my sister and I just started our online business. 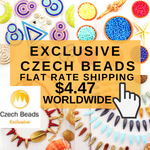 We make beaded jewelry, and it's really difficult for us to get a good shot of our products with our phone camera. https://www.facebook.com/pages/JC-Rainbow/306433466052203?ref=hl This is my FB page. Thank You! OMG they continue to produce awesome products, I would love to win the larger version. I've signed up for their newsletters, and love seeing your posts on them. Yes, I'd totally enjoy winning one! I'd love to win, it would be a great birthday present for me. What a great giveaway. Thanks for the chance. Would love to win it. I wish I get this as my pics are never good enough. I'm your blog subscriber. I could sure use this! I prefer to photograph with natural light. But here in Wisconsin it can be bitterly cold in the winter time! Awesome giveaway! I have the smaller model and I love the ease of use and the backgrounds that can easily be wiped clean. I do have trouble getting a photo of a larger piece like a necklace on a bust, though, so this larger one would be great! I really need one of these to take better pictures of jewelry and crochet items that I am always making! I follow through email and facebook. That Modahaus looks great! And my son could use it for the war figurines that he paints. This is amazing and would help me so much in my business. Your email is the one I look for every time I get on-line. Thanks for all of the wonderful posts that you do and the great information and tips that you provide. I love all the tutorials. My Etsy store is wearecrafts although I haven't yet posted pictures. This would sure make it easier to get that accomplished. Thank so you much for this opportunity! I absolutely love your blog! I need all the help I can get with photography! Bought the little one but need something big enough for necklaces, and now I have the room to set it up! Definitely one of your most faithful followers on my Yahoo feed and my blog. I would love to win this photo studio . My pictures need a bit of help .I made my own picture box a while back but it didn't work the way I had hoped .I believe this would be a perfect answer to my problem . This would be fantastic! I'm constantly trying to tweak my photography set up, especially for larger pieces like belts and long necklaces. I also subscribe to the Beading Gem in my RSS reader. I would love to win this photo studio. I would then be able to use my felt for actual projects. I will also try to link with both my Blogger and Word Press Blogs. Find me at aresthegoddess.wordpress.com. "Can you include me in on that? I also tried and wasn't able to leave a message. Love the opportunity to win the Photo Studio. Putting good pics up is the thing that keeps me from making publishing my Etsy account. I need to make the big step. 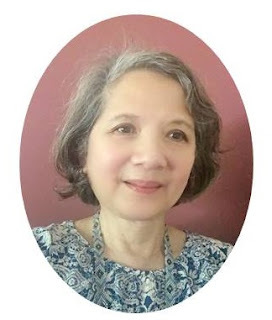 : )"
This would help me take more professional photos for my website, www.aestheticals.com, so of course I would love to win! I would love this!!! It would make picture taking actually a fun experience! Thanks for the chance. Thanks for the opportunity. This would actually make picture taking a fun experience! My blog has suffered because of my awful photo's, a photo studio would breath new life into it and also help my selling of antique and vintage items. 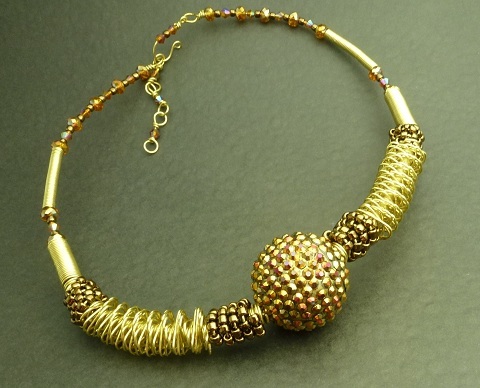 I love Beading Gem and look foward to each post. Keep up the great work. This would really help me. I love making jewelry but I dislike taking the pictures to post. This could change that. Wow, what a great improvement. I have had something similar to this for a few years now and find that is just more hassle than it is worth. I love the simplicity of this and the size is perfect to store in my limited space apartment. Looks like a nice system! Would love to win one of these- its a great product. I've been following your blog for quite a while via my RSS feeder. This would be such a help with taking pics of my beading! Winning this would definitely improve my jewelry pictures! Thanks for the giveaway! I would love to win this! I enjoy reading your blog every day. I would love to upgrade from my studio in a box - actually this would make a wonderful valentine gift for my husband, the excellent photographer! I subscribe by email and follow you on facebook, and recommend you to all of my artist friends, whether they make jewelry or not, lol! I would so love to win this! And I am definitely a follower! I would absolutely love to win the Modahaus TS400. I actually hate taking pictures of my jewelry due to the hassle. I put off taking the pictures because of this. I have entered each and every giveaway thats posted with the hopes of winning, maybe this will be my lucky day. Love his products!!. I'm a FB fan, follow his and your blog, twitter and will post this on the jewelry forum. I would love to win a Modahaus TS400 it looks like a wonderful way to take fabulous pictures. Thank you for this chance to win a Modahaus and for all the amazing things you showcase on your blog. I stop in every day and look forward to what new adventure you will take us on! 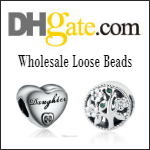 I look forward each day to your emails, and love all the jewelry you showcase! Please enter me in the running for a Modahaus TS400 Photo Studio. Thank you! Wowza, what a great system! Yesterday i had very much disappointment trying to photograph my jewelry... and now this giveaway ! whee let it be mee ! Babette - if the extra comments are to tell me that they subscribe or help promote the giveaway, then they are counted as extra entries. I usually delete duplicates - these are probably because readers didn't realize all comments are moderated so it might be a while before I approve them. If I missed any duplicates, they are disregarded when I count at the end of the giveaway. I would love to win one of these. Great blog. I am going to subscribe. Oh boy would this be awesome!! I ended up chucking the one that I purchased because it didn't help me at all. It got dirty, and I couldn't clean it nicely because of what it was made from. Thanks for the awesome giveaway! This looks like a great idea. I have been using a plastic storage container for a diffuser and poster board for the backdrops. I am still not happy with my photos...too much reflection. OMGosh I need this so badly. It looks like this version of the photo studio have some really smart details, like the fishing line holes and smart case/light diffusers, and some new and elegant backgrounds that I missed in the earlier, smaller version I've got. I love their photo studios. Would love to be able to take more professional photos! I look forward to my daily email from you! Thanks for offering the opportunity to win one of these cool "photo huts!" Would like to upgrade my light tent with one of these Modahaus studios. I was amazed at how the different backgrounds had such an effect on your brass necklace Pearl. In the end I preferred the plain grey background for the best effect. Thanks for this Pearl. I learned quite a bit from this post! Wow! 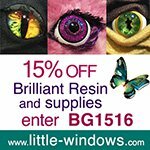 Great giveaway offer! Who wouldn't love to win this? I subscribe to your blog and look forward ti reading it daily. I have learned so much from your blog and have gotten so much inspiration from you. Also like you on Facebook. I would love to win a Modahaus TS400. 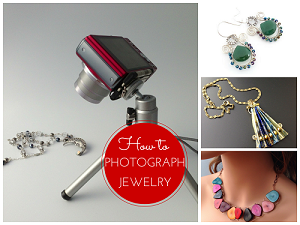 That is just what I need to help me professionally photograph my jewelry photos! I'm asubscriber to your blog and besides the great ideas and help,your giveaways lately are the exact tools i need to develop my technique.So far i haven't been so lucky ,maybe this time. Thanks much for the chance to win. Love all the tips, and creativity starters! I would really love to win this, Pearl. What a great giveaway (again!). Thanks for hosting it. I would absolutely love to win this! Thanks for the chance. Would love to win this Modahaus TS400 Photo Studio prize. My husband would love to use this when he takes shots of our jewelry. Love your blog! Thanks for the great info. Pearl. I recently bought the Steady Stand and love it. Could really use this larger set up, simplification is always good. If I don't win then I'm sure I will be purchasing one soon. Follow you everyday and truly enjoy all the great info. you share. Thank You. Love the information and would LOVE to get the Modahaus TS400! After checking out their website I want one and the Steady Stand. The Modahaus TS400 Photo Studio is something I would use often. I would tell all my beading friends about it as well. Fingers crossed! What a GREAT opportunity! I've got an opportunity to travel to the northernmost tropical rain forest to shoot some endangered plants and would LOVE to use this set-up! Thanks for posting this info. This was an awesome post. Read all the information and learned a lot I would love to try the Moahause small version I have used a light tent but have not be completely satisfied with my pictures. I thought the advice to learn about your own camera really hit my weakest spot. You have reallly made the Modahause irresistable. I would so love to win this. It would greatly improve what I do when taking picture for my online shop. Thanks for the opportunity. This would so benefit my photography as it has yours! Thanks for the chance to win and for the great review. I subscribe to your fab. blog and follow on FB. Love your posts. Thanks for the opportunity to win. I purchased the TS216 set as a result of your blog. I am really happy I did. I had a problem in the beginning and got back to Modahaus and I had an email from Lex McColl and I almost fell off my chair. I told him I expected to be in contact with one of his tech's. However he was very kind and gave me the tips on how to sort out my photos. 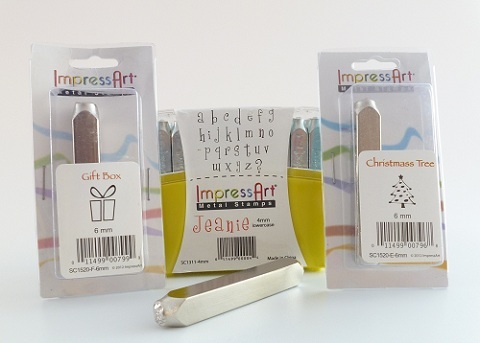 I'd love to win this item as it would really help me even more with photographing my jewellery and cards. This is such a great giveaway, and I could so use this to take my product photography to the next step! Thanks for the opportunity! I follow your blog every day and would absolutely love to win one of these!!!! Thanks for the chance. I've been dying to try out Modahaus ever since I first saw you post about their products! Thank you for the chance to win! I have been struggling with photograph mt jewelry. Would love to win. Gorgeous pics Pearl,I would love to have one of these!Thank You,for the chance to win one! I love my small modahaus, but a larger one would be awesome, because not all my jewelry fits!! Who *wouldn't* want one - it would be so useful! I have been looking all over for something like this that will make my photography duties so my easier! Thank you for the tips and the giveaway! This sounds just perfect for my needs. I'd love to win. I would love one of these, would work better than my cardboard and vellum version, lol. I am a subscriber and will shout out on Facebook! I would love a Modahaus TS400. I need all the help I can get. My email is essenceartist@mail.com. Yo can find photos of my work at facebook.com/jackie stutz-wenner. Hi Pearl - Wow a lot of responses here! Looks like a great product. 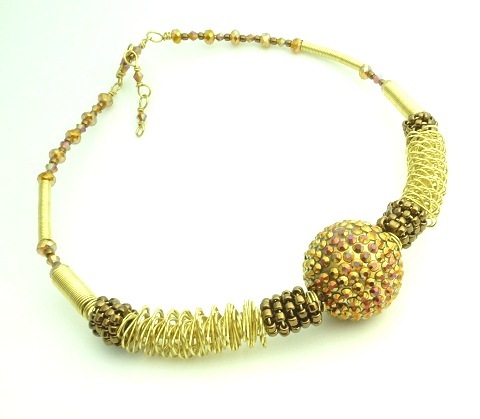 Love that necklace you've used for your examples - I'll be announcing the winner of our competition soon! I would love to finally be able to take decent pics of my jewelry. I am in the process of just starting to photograph my jewelry for on line sales. I have been investigating different options and actually reviewed the Modahaus articles that you have posted over the weekend. I would love to win this giveaway. The Modahaus TS400 looks like it would be the perfect answer for me. I read every one of your blogs and go back to older ones for research. You are an inspiration and a blessing for a lot of people. Thank you for this opportunity. 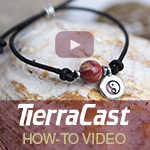 I would love to enter to win the TS400 to photography jewelry for Esty. My email is tamieka_alford@yahoo.com. Fingers crossed!!! I would love to own one of these amazing pieces of photographic studio pieces - especially to photograph my jewellery and craft pieces. I follow you by e-mail. I like you on Facebook under Kayla P.
I follow you on Pinterest under Kayla P.
Absolutely spectacular giveaway! Love reading your blog comments, I look forward to the emails telling me a new one has posted! Would love to win this one for sure! Hope you are well and happy. Thanks to you I have the smaller version and steady stand, still experimenting with it. Winning this would be so awesome! 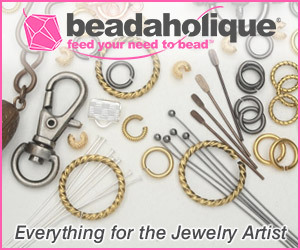 It would be such a help in the beginning stages of my jewelry making! I wou;d love to one of these! I love your blog! Jewelry photography is so tricky...this sure would help me do better. I liik forward to reading your blog daily. Thanks for the chance to win. I would love to win a Modahaus. I like that it won't stain or smudge, but the fact that your kitties generally leave it alone sold me on it!! Dreams can come true right? I'd love to own one of these!!! Thanks for adding the guide and why a switch is good very insightful. I have tried over and over to get good pictures to start a website to sell my jewelry. They never look professional enough. This would be awesome!!! Thanks so much for the chance. I subscribe to your blog and follow fb. Thanks once again for sharing, Pearl! I would so love to win this Modauhaus! I'm re-designing my website and really want to have more professional pics of my pieces. I read your blog regularly through my RSS feed too. And I also see you pop up on my FB page regularly, in fact I have shared the post about this giveaway! Thanks for the chance to win this! It looks so easy to use and love the different colors. I would love to own one of these. Every time I make jewelry photos, it is like a science project to get a decent shot. I enjoy reading your blog every day. Of course I would like on of those Modehaus Photo Studios! OMG! I've been waiting for this! I won the small one the first time I saw a modahaus giveaway on here (it might have actually been the first one), but they've made so many improvements since then and my work has sometimes gotten too big for the small photo studio. A very useful piece - I'd love to have one :) Thank you for the opportunity! Thanks for the chance to win such a great, & necessary product Pearl. I'm an email subscriber. Hoping for a Modahaus Photo Studio!!! Thanks for making it international. Liked on Facebook as well. You know, I thought I liked my current setup but this one looks way better! I'd love a chance to have one of my own :) I'm going to add your blog to my regularly-browsed Google Reader feed as soon as I've left this comment! I would love to win the TS400. I have two boys both under two years, and they make photographing my work a real chore. I follow you on Twitter, Facebook, and Pintrest. I also shared this via Twitter, and Facebook. And I repined your pin on Pintrest. I'm so excited about this giveaway! After all my failed makeshift props for my jewelry photograph, I need this professional version really bad! I enjoy your blogs so much. Keep it going for us, please! Oh how I would love to have one of these! Thank you for the chance to win! I'd love to win this package for photographing my jewelry and knitted items. 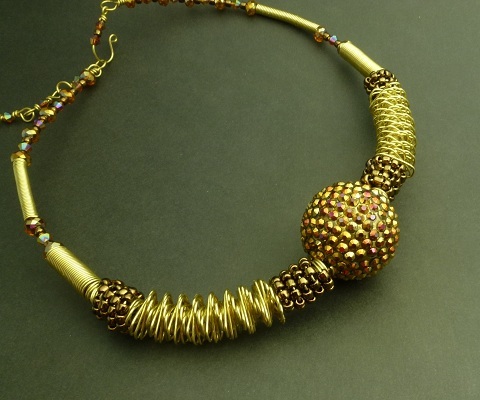 I loved this blog and it was so interesting to see how the different backgrounds changed the way the brass necklace looked. I will start following this blog--believe I can learn a lot from it. What an amazing giveaway! I'm a subscriber of your blog. I have a smaller Modahaus set and I love it, but it is a bit small for some of my projects. I'd love to win this one! I would love to win this for a very dear friend of mine. She could really use it and doesn't have the money to go out and get one. Thanks for the chances! I follow on twitter @ cjcmommy. I am following your My Jewelry Designs in Pinterest. I am following you on facebook under charlene canfield. I would love to win a Modahaus TS400 it looks like a wonderful way to take great pictures. I subscribe via email and I read your blog and I am subscribed on Facebook as well. Your blog is so useful and covers so many areas. Jewelry photography is so hard. I've taken a number of photographs using natural light - that's all I have. It would be great to try out this compact studio. I'm always trying to improve my pictures...love that silver background. Always trying to improve my pictures....love that silver background! OHMYLANTA!!!! I need all the help I can get! lol! This would be so awesome to have. I'm a bit of a shutterbug so I think I would have WAAAYYYY too much fun with this! Good luck to everyone! I love when you have a give-away and we get to see how many readers you really have! Amazing! And you know I'm interested in anything that will help keep cat hair out of my pictures! Fantastic giveaway! This device is just what I wanted! I have been looking at table top studios. This is one that caught my eye. How sweet would it be to win one. Love your blog and I would be thrilled to win this Modahaus TS400 Photo Studio giveaway. I've never used a setup so professional as this. It would expand my creativity! Thank you. I have great plans for the great Modahaus TS400. Love to win this. I also struggle with picture taking. I follow your blog, facebook page and your Pininterest site.